What Does Your Fusion Center File Look Like? "House appropriators voted to give the program no new money at all, stating in a report accompanying their bill that NIST won't be able to obligate funding for NSTIC pilots until the end of this fiscal year. Senate appropriators would give NSTIC its requested $24 million." Is NSTIC Silicon Valley's way to seduce government out of longterm considerations for Big Data's commercial dragnets and privacy issues attached to federated digital ID? Is funding NSTIC a way to portray government as a open marginal stakeholder in a massive comprehensive public-private infrastructure build online? Facebook, Microsoft and Google are all data brokers with federal contracts. Facebook is certainly arrogant enough to have said they aspire to "be the web". "Citizens like Ginorio were flagged as potential ineligible voter safter the state’s Division of Elections compared its database with a database maintained by Florida’s Department of Highway Safety and Motor Vehicles, which records whether a new driver is a U.S. citizen when he or she gets a license. As a result, some citizens could appear to be non citizens now because the DHSMV computer system doesn’t automatically update when someone becomes a citizen, said Chris Cate, a spokesman with the Florida Division of Elections." "Gov. Tom Corbett on Wednesday signed a bill that prohibits Pennsylvania from participating in the seven-year-old law's requirements. The National Conference of State Legislatures says 16 other states are opposing it through their laws, while a handful of others passed resolutions against it." BTC- Adam Kokesh, a national anti-war activist, solicits voter and campaign support towards ousting Real ID author, Rep. Lamar Smith. He piles on a list of complaints over Smith's performance against citizens rights, including his authorship of an Internet censorship bill, SOPA and his concurrent reauthorizations of the USA PATRIOT ACT. Kokesh adds his complaints to a lengthening list of dissenting Internet campaigns to replace the House Judiciary Chairman, including that of the 511 Campaign, Anonymous, and Reddit's TESTPac. "I called out Lamar Smith months ago over intent to mandate E-Verify, a plan to siphon every prospective employee SSN through a DHS webcloud for permission to work, SOPA, the PATRIOT Act, and, of course, his supporting role authoring Real ID. The redistricting effort has made it difficult for voters to have other options than Lamar Sith, but not impossible," says Sheila Dean, a vocal opponent of centralized identity programs. Kokesh promotes the campaign work of Sheriff Mack in Austin and San Antonio, Texas. May 11th, 2012 will mark four years since DHS' original deadline challenge to States to comply with Real ID regulations. Looking back to May 2008, many doubled up on identity theft prevention services, aluminum wallets, RFID shields and banking encryption to fend off the digital privacy drawbacks of carrying a national ID card. Sometime later, the Real ID Act was banned in over 25 States legislatures who cited potential loss of privacy and expensive costs as reasons to Opt-out of the program. The law became virtually unenforceable as a national identity system, but are citizens and residents really free and clear of the negative impacts stemming from Real ID? While the Obama Administration pledged there would be no enforcement of Real ID regulations, there has been an increase in identity requirements nationwide and some appropriations to States this year for the program. These actions seem to be consistent with a Homeland Security hearing discussion; which no longer defers the national deadline for individual compliance. It is now set for January 15th, 2013. 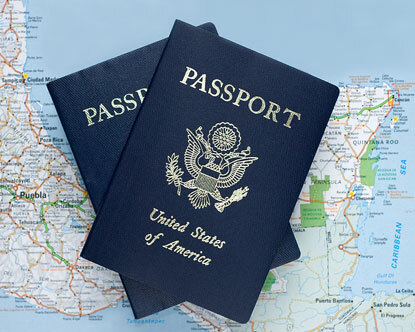 Here are 5 signs you may be dealing with Real ID in 2012.